A Fort Wayne man was ordered Friday to spend 85 years in prison for the murder of De'andre Voss in late 2017. 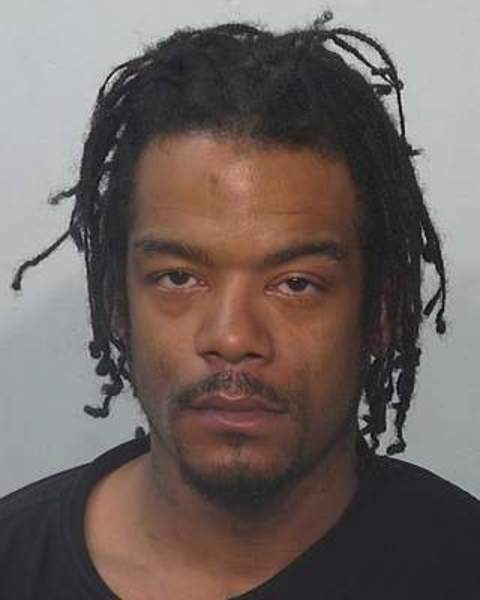 Bryan L. Flowers, 35, shot Voss, 32, in the face as he stood outside an apartment complex on the city's southeast side. They had just left a party at the Villages of Hanna, and the Dec. 23, 2017, slaying was captured on surveillance video. A witness testified at trial last month that Flowers was the shooter, and investigators said DNA from a cigarette left at the scene also tied him to the crime. In court Friday, Flowers said he was “falsely accused and wrongfully convicted.” He criticized prosecutors and questioned the clarity of the surveillance video and evidence presented by a forensic pathologist who testified that the shot that killed Voss likely came from close range. Flowers read from a rambling statement that suggested another man – the witness who blamed Flowers for the killing – shot Voss. Allen Superior Court Judge Fran Gull was unconvinced and sentenced him to 65 years behind bars for murder. She added 20 years because a gun was used to commit the crime. Flowers said he will appeal. “The defendant is in denial that it was him,” former Allen County Deputy Prosecutor Adam Mildred said. Mildred handled the case against Flowers and since has been named chief deputy prosecutor in Noble County. He handled the sentencing hearing Friday in Allen Superior Court. A motive for the killing was never established, though prosecutors said at trial Flowers and Voss argued around 4 a.m. Video shows the two men standing next to each other, and Flowers has his hand raised toward Voss. That evidence proved contentious at trial, as defense attorney Stanley Campbell said the video was not continuous and included gaps of about 1.8 seconds between frames. Campbell also questioned the credibility of the witness who said Flowers had a gun – a 9 mm Glock pistol, the model a firearms expert testified could have fired the fatal shot. A bullet traveled downward, severing Voss' spinal cord, Dr. Scott Wagner said. A sentencing memorandum filed Friday details Flowers' criminal history: convictions for armed robbery, battery to a police officer, reckless driving, resisting police and receiving, possession or selling a stolen vehicle. He had also been charged as a juvenile with burglary and drug-related offenses.